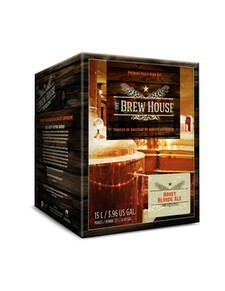 The Brew House kit produces an all-grain craft style beer in the same way as commercial craft breweries. Made with 100% malted barley with no additives or malt extracts to bring you the fresh and pure flavour of “true to style” all-grain beer. The grains are carefully cracked and gently steeped to draw out the sweet wort. The resulting wort is boiled with the choicest hops and immediately aseptically packaged to preserve its fresh grainy flavours. With no boiling – just stirring and careful racking – The Brew House will produce great beer with delicious aromas and flavours in only three weeks! 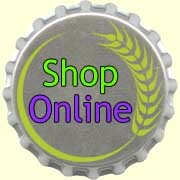 Many of our customers have found this to be one of the easiest and best beer making kit on the market today. For a change of pace, try changing the yeast package and using a Wyeast liquid yeast or add some hop pellets. We have suggestions for modifying the kits that you will be sure to enjoy. Cool and refreshing, Premium Lager is a crisp, easy to drink beer with a lower alcohol level to bring out the freshness and aroma profile of a true to style all-grain beer. Modelled after the classic beer of Mexico! Light-bodied, crisp and clean. Drop in a wedge of lime and let our Cerveza take you to a white sand beach overlooking the Pacific…don’t forget the sunblock! India Pale Ale was developed in England to withstand the long journey to India during colonization. Our India Pale Ale has a copper/golden colour and medium aroma hops, with a slightly higher starting gravity and hop rates than our regular pale ale. India Pale Ale is perfect with spicy foods and BBQ, as it has the fortitude to stand up to the “big food” flavour, yet is still crisp and refreshing on the palate. Since the mid-19th century, this dark beer has been brewed in the Bavarian city of Munich. Our version is characterized by a delicate sweet maltiness, and a toasted nutty flavour. This rich, medium-bodied beer will complement chicken or pasta dishes. A beer with roots in the English Midlands, pale ale dates back as far as 1780. Today, it is copied worldwide. Our version is crisp, amber-coloured and aromatic. Pale Ale goes hand in hand with red meat dishes and cheeses. The original pilsner was brewed in the Czech Republic in 1842. Now, as then, it is known for its generous quantities of hops. Our medium-bodied, golden pilsner is a clean, satisfying beer. This elegant beer is delicious all on its own. It is also a perfect companion to seafood. Copper red in colour and stylistically positioned between a German Alt Beer and the Oktoberfest the red ale has a pronounced crisp, malty character, with delicate hop bitterness and a pleasing floral aroma. Brewed since at least 1820, stout is Ireland’s gift to beer lovers. Brew House’s is dark and rich, with a bold roasted flavour, a hint of chocolate and an espresso-like finish. So smooth, you’ll enjoy having more than one. Stout is a perfect match for shellfish, particularly oysters. Also great with curries and strong cheeses.